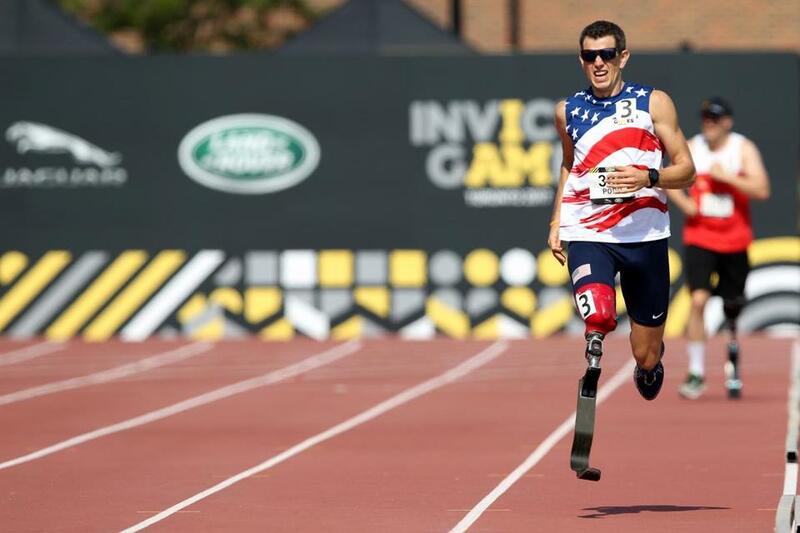 Adam Popp of the United States competed in the Invictus Games in 2017. When Adam Popp was becoming a marathoner after losing a leg in Afghanistan, his goal was qualifying for Boston. Next year runners who meet the competitive standards will be racing for official recognition and prize money as the Boston Athletic Association introduces a new Para Athletic Division with categories for classified ambulatory athletes with vision, lower-limb, and upper-limb impairments. BAA chief executive director Tom Grilk says the Para Athletic Division is another step in recognizing all forms of athletic competition. 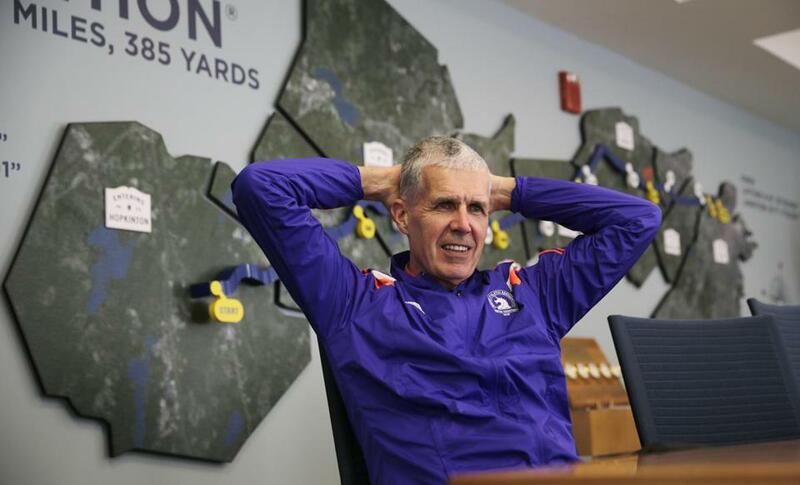 The BAA, which for years has welcomed runners with impairments, will continue its adaptive programs and keep the existing time standards of five hours for visually impaired athletes and six hours for mobility-impaired. “If you’re saying, ‘I’m not ready for [the competitive division], I’m not there yet, I just want to be in the race, I need a little more support,’ then you have a program where you can come in as well,” said Marla Runyan, the BAA’s Para Athletes manager. The competitive division, the first created by a major marathon, is designed to attract runners who crave a high-performance challenge. By establishing a formal Para Division as a subset of the open field and offering a total purse of $16,500 with $1,500 for victors, the BAA will recognize excellence across all competitive categories. When Runyan, a legally blind runner who competed in two Olympics on the track, made her marathon debut in New York in 2002, there was no provision for vision-impaired runners. Reynolds, who had both legs amputated below the knee when he was 4 after developing a bloodstream infection, is a three-hour marathoner who set an unofficial world record at last month’s New York City Half Marathon. The competitive time standards for both male and female runners with lower-limb impairment will be 5 hours and 40 minutes, and 4 hours and 55 minutes for those with upper-limb impairment. Cutoffs for vision-impaired runners will range from 3:40-4:25 for men and 4:10-4:55 for women depending upon age and category. The important thing about the new divisions, observed Haslet, is the validation that comes with them. 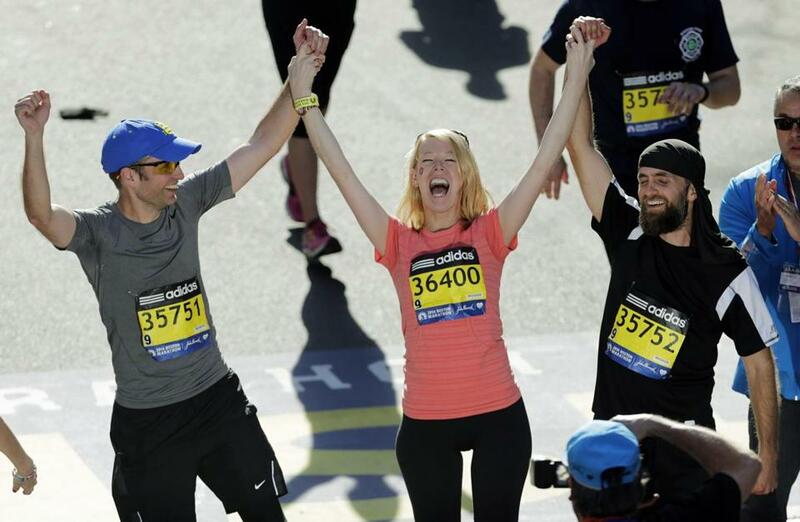 Adrianne Haslet is flanked by brothers Timothy (left) and David as she crosses the finish line after completing a short distance in 2014, the year after surviving the Marathon bombing.